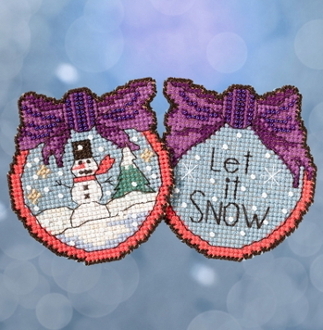 Includes two adorable Christmas Ornament designs! Makes two ornaments to hang (may stitch back to back). Finished size: 2.5"w x 2.75"h (6.4cm x 7cm). Mill Hill Glass Beads, Mill Hill Perforated Paper, floss, needles and chart with instructions.